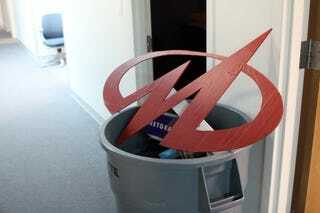 The Midway logo goes to its final resting place as employees pack up, clean house and make the move to their new home at Warner Bros. Interactive Entertainment. As seen on Twitter. R.I.P.